Police are looking for a criminal serving a life sentence for a knifepoint robbery. Benjamin Humphrey from Shoreham is wanted by Sussex Police on recall to prison. 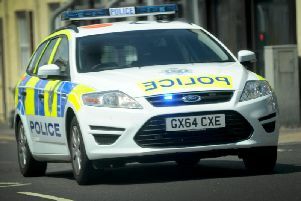 The 29-year-old was convicted of knifepoint robbery in Lancing on January 4, 2007 and sentenced to life imprisonment with a minimum term of three years and 309 days. Police believe Humphrey to be in Sussex, possibly the Brighton area, but is also known to have links to London, Essex and the Channel Islands. Anyone with any information about his whereabouts is asked by police to contact 101@sussex.pnn.police.uk or call 101.